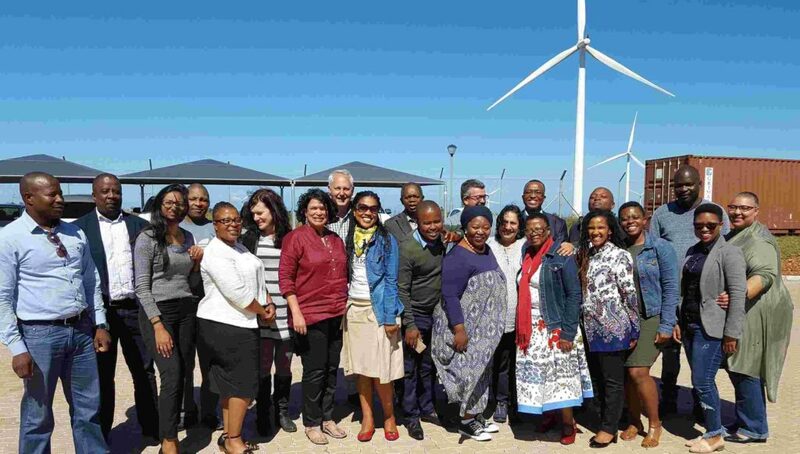 A final workshop in a series hosted by SAWEA brought together key representatives of the three constituencies concerned with economic development in the Renewable Energy Independent Power Producer Procurement Programme (REI4P). Parties included Economic Development Directors of Project companies, Community Trustees and employees of Community Trusts. Each of these groups focus on the implementation of distinct facets of local economic development in rural communities adjacent to wind farms in the Northern, Eastern and Western Capes. “SAWEA has hosted this series of workshop in order to improve collective understanding of the purpose, challenges and opportunities associated with Community Trusts. As the Industry association for wind power in South Africa, SAWEA is concerned with both the socio-economic and operational contributions of the national utility-scale renewable procurement programme” explained Brenda Martin, CEO of SAWEA. Participants used the opportunity to improve mutual understanding of the policy basis for Economic development in the RE procurement programme and to lay a foundation for increased effectiveness of Trusts across provinces. Representing each of the three provinces which now boast the highest volume of renewable energy utility power plants in South Africa, participants recognised the value of improved collective knowledge to ensure more effective, engaged Community Trusts. “The workshops have been well-attended and provided participants with the immediate opportunity to hear the perspectives of their counterparts as well as to express their own views. Several new relationships of co-operation across provinces and interests have been initiated and networks of practice expanded” added Martin. The national renewables programme seeks to ensure that Independent Power Producers (IPPs) include minimum shareholding for Community Trusts. This ownership structure has been built into the IPP business framework and goes beyond typical CSI efforts to bridge a number of socio-economic interests. Such public/private partnerships have an important role to play in strengthening local communities. One of the objectives of the workshop was to develop a deeper understanding of the experiences of Community Trustees and Community Trust Conveners. The latter are administrators employed by Trusts. The workshop concluded with recommendations to Industry, Community Trusts and to government. “SAWEA will work with Industry to take it workshop recommendations forward as part of its 3-year business plan to 2020 and will also work with Community Trusts to take recommendations to government” concluded Martin.